Hey guys! I'm back with an IMWAYR post after who knows how long! I'm linking up with Kathryn @ The Book Date for this post, as she graciously hosts this meme every week. Without further ado, let's get right into it! 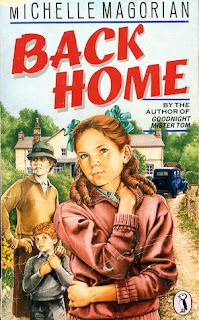 I finished reading "Back Home" by Michelle Magorian. I picked it up from the school library and enjoyed it much more than I enjoyed another Magorian novel "A Little Love Song". The novel is about a young girl who was evacuated to the US during WWII who comes back to an unrecognizable Britain. 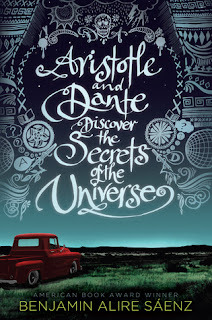 I'm currently reading "Aristotle and Dante Discover the Secrets of the Universe" by Benjamin Alire Saenz. This book has been on my TBR for the longest time so I borrowed it from a friend of mine. I'm really enjoying it so far. I'm also currently reading "The Shock of the Fall" by Nathan Filer. 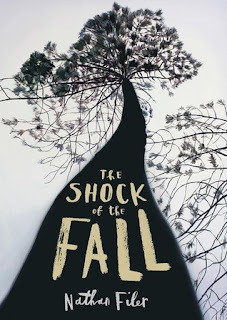 It's not as great as I'd hoped it would be, but my friends and fellow readers tell me that it gets better towards the end of the novel...I'll stick it out and see how that goes! Hopefully this week, I'll finish both the books I'm currently reading. I'm hoping to pick up the Sherlock Holmes series next week as well, as part of the "Big Book Challenge" I'm participating in this summer. My reading week was also off. The move is really happening. We have temporary housing squared away and most of our home library in storage now. Come see what I'm reading this week. Back Home is a book that would appeal to me, and very emotional would imagine. It was like each character was walking on a tight rope of emotions! I'm also having a hard time fitting in reading. My move has been accomplished but I have boxes, boxes, and more boxes to unpack. Come see my week here. Happy reading! You seem to have managed an incredible amount this week Kathy! Haven't heard of that last book, but love the cover! Hope it gets better for you like your friends say it will. Oh really? I can't wait for it to come out! Aristotle has been on my list for a while too. Glad to hear you're enjoying it!! 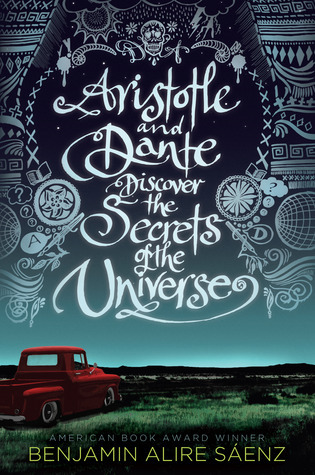 'Aristotle and Dante Discover the Secrets of the Universe' is also on my TBR but I just have not got round to it yet. Perhaps I should bump it up near the front of the list, haha. Hope you have a great reading week as well- and a great week otherwise as well! Happy reading! Back Home does sound interesting, and I've heard good things about Aristotle & Dante. I really enjoyed Back Home.